IFI Horrorthon 2017 is almost here, and we’re really looking forward to delivering five days of frights from October 26th to 30th. Ahead of that, we’ve been catching up with some of the filmmakers including Tragedy Girls helmer Tyler MacIntyre for a chat. Next up is Aaron McCann, co-director of the hilarious Top Knot Detective. He hails from Australia these days but was actually born in Ireland, which is where this interview kicks off. Enjoy! 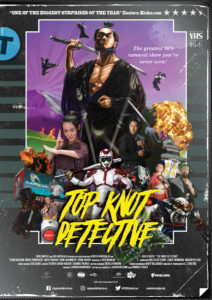 Top Knot Detective screens on Friday October 27th at 17.25. Firstly I wanted to talk a little about your background – you grew up in Ireland? 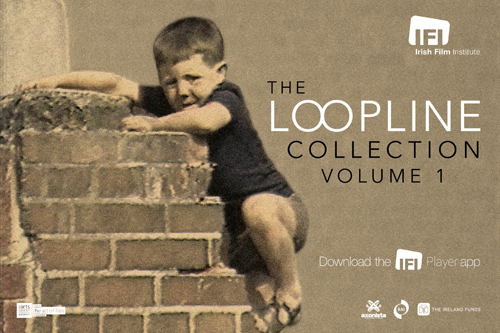 I was born in Dublin and grew up in Clondalkin, just off the Boot Road. I went to primary school there up until 1989 when my family moved on to the greener pastures of Perth, Western Australia in 1989. We didn’t get our citizenship until 1994 though. Do you have any memories from growing up? I remember vividly, when I was about 6/7 years old. A seagull shitting on me multiple times at school. It was horrifying. I also remember going to the seaside in Galway as a kid and collecting Garbage Pail Kids cards. I also remember my grandad bringing me to the pub and buying me a coke and then scooping the head off his Guinness so that we could both look like we were drinking. I remember my folks bringing me to the cinema and the cold winters. How did you go from living here to making a mock doc comedy film in Australia?! 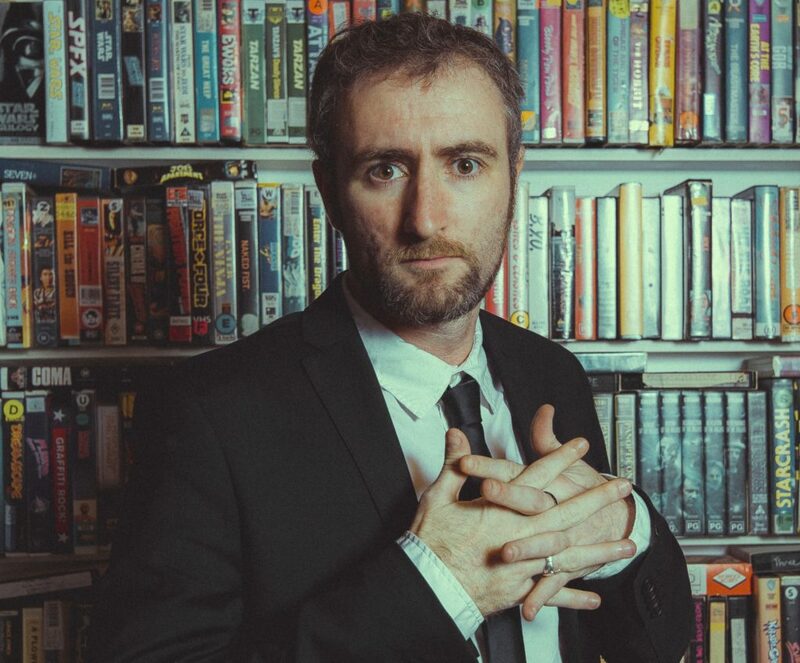 When I moved to Australia and grew up, I studied film and moved into being a filmmaker in the early 00’s. I started out as an Assistant Director on many short films and then on TVC’s, and Music Videos before graduating to directing my own short films, webseries and commercials as well as music videos. I always tried to keep an eye out for movies and TV series coming from Ireland. That was the beauty of the internet I guess. It opens your world up to so much media. Though, making a Japanese mock-doc in Australia wasn’t my first goal, that’s for sure. Yes… well sort of. I think (when I was still at high school) I wanted to work in mining (because the money is great) and I also wanted to be a Detective (because I thought that would be cool) – but I didn’t really feel like studying geology, or science and always gravitated towards art. Plus – I have an anti-authoritarian streak so being a cop or working under some large mining corporation was never going to fly. I had a video camera from a very young age and making films was always something I did with friends. It was around 15/16 when I decided to take it seriously as a career. Plus by that time my VHS collection was out of control and when I moved over to DVD it didn’t get any smaller. What was the first germ of the idea for Top Knot Detective? It all started when I was about to travel to Japan for the first time and I asked Dominic Pearce (who directed the film alongside me) about his previous experience there. He explained to me about how he got stuck in a hotel with his partner and they watched episode after episode of this classic 80’s Japanese TV series about a Shogun detective (I would later find out that this series was Aberenbo Shogun – 暴れん坊将軍 – which ran for 831 episodes between 1978 and 2008). From there we talked about our mutual love of samurai movies and our desire to make something in that style. The title came first and then the documentary style, looking back on the series and the crime behind the scenes, came later. I’ve heard that it took more than three years to come together, were you always confident that it would happen? It began as a TV series pitch. Then we were awarded a small amount of money to make a pilot episode for a webseries back in 2015. We used this as a testing ground to cast and come up with the overall look and feel for the show. A majority of the footage we shot for that pilot is in the feature film too. Then between 2015 and 2016 we completed the screenplay for a full webseries (6 episodes, 15min each) and went about shooting it. Somewhere in the middle of that process, we turned it into a feature film and we never went back to the original series idea. What was the biggest challenge in getting it made? I think getting our heads around another language was the trickiest. Also shooting in Japan and finding a predominantly Japanese cast. We relied heavily on them to guide us in the process as neither myself, Dom or our producer (Lauren Brunswick) speak Japanese – in fact – we barely speak English that well. We butchered two languages on this film… and I’ll do it again! This was your first ever feature, what is the biggest lesson you learned? Compromise can be your friend. Though, that said, filmmaking is all about compromise. For this particular film, I think I would have preferred to have known another language going into it as it would have helped with the editing. We pre-vised the whole film with temp audio (all in English) but once we got all of the footage back, we realised that the sentence structure is totally different in Japanese, which changed the rhythm of the edit. Though thankfully the post process was quite long (March until September 2016) so it gave us time to experiment with a variety of edits and structural shifts all the way through. What was it like to watch the film with an audience for the first time? Nerve wracking. I prefer to sit at the back of a theatre and watch the audience watch the film because I’ve seen the film about 1000+ times and it’s hard to have perspective, it’s still very raw. It was great to hear people laugh at the in-jokes and also to hear audience members sigh at the big reveals. I’m still shocked that people think it’s real. So people do actually think that? Yeah. It’s strange really, it always throws me off during a Q&A when someone asks me how we found Takashi in the end… Then I do a double take and try to figure out if they are asking how the characters in the film found him or if they mean how did I (personally) found him. But it’s also nice to pop the bubble for a few folks. We never made any attempt to hide that it was a mockumentary. We specifically put up pictures all the way through production. We made the IMDb account to spell it out clearly, but still – people believe what they want to believe and in this era of post-truth, that can be quite astounding. Was there any show or movie you took inspiration from for the fake TV show? 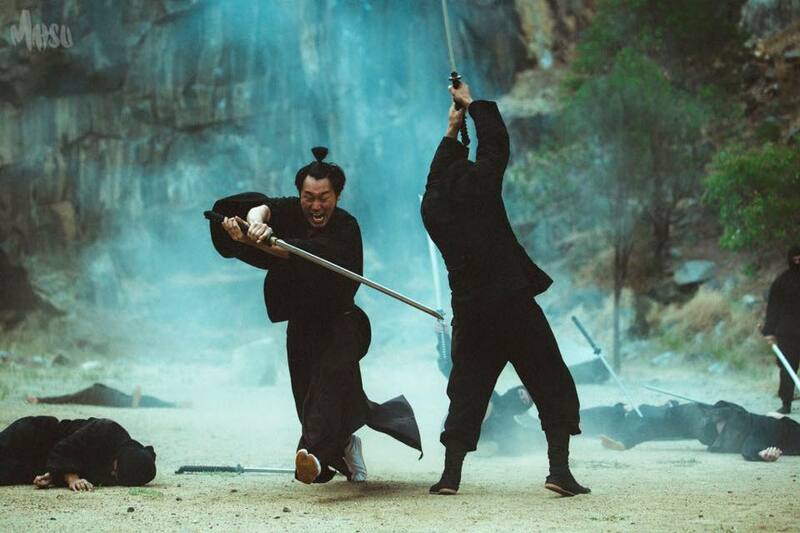 Aberenbo Shogun, Lone Wolf & Cub, Super Sentai (the original Power Rangers), Garth Marangai’s Darkplace, Let the Blood Run Free, Zatoichi, House, The Room, Danger 5, Perfect Blue, The Time Tunnel, Karmen Rider… it’s a pretty long list. there are homages to lots of things all the way throughout. And did any films inspire the tone, etc for the film? In terms of the “documentary” – The Jinx & Making a Murderer along with many “making of” documentaries helped to set the tone for the later half. Peter Jackson’s Forgotten Silver played a huge role too. We did take a lot of inspiration from some real-life stories of Japanese celebrities (Shintaro Katsu was a big influence on Takashi Takamoto) and scandals. We always knew that we wanted to keep the film light up until the point of the crime and then have it shift in tone. A few quick horror questions – do you have favourite horror films? John Carpenter’s The Thing is by far one of my all-time favourites, Peter Jackson’s Braindead is another and of course; Takashi Miike’s Audition is a standout. Though lately, I’ve become obsessed with Gnaw: Food of the Gods II, it’s hilarious (though I don’t think it was ever intended to be). John Carpenter, Takashi Miike, Sam Raimi, George A. Romero, Tobe Hooper, Wes Craven, Alfred Hitchcock, David Cronenberg, John Landis, Na Hong-jin, Park Chan-wok… again, a super long list. What was the first horror film you saw and where? I can’t remember what the first horror was. the first the left an impression on me was A Nightmare on Elm Street. My dad used to show me them as a kid and from a very early age I knew that they were just movies so I wouldn’t ever get nightmares. I just loved the fun of all the makeup and gore effects. What’s next for the film? 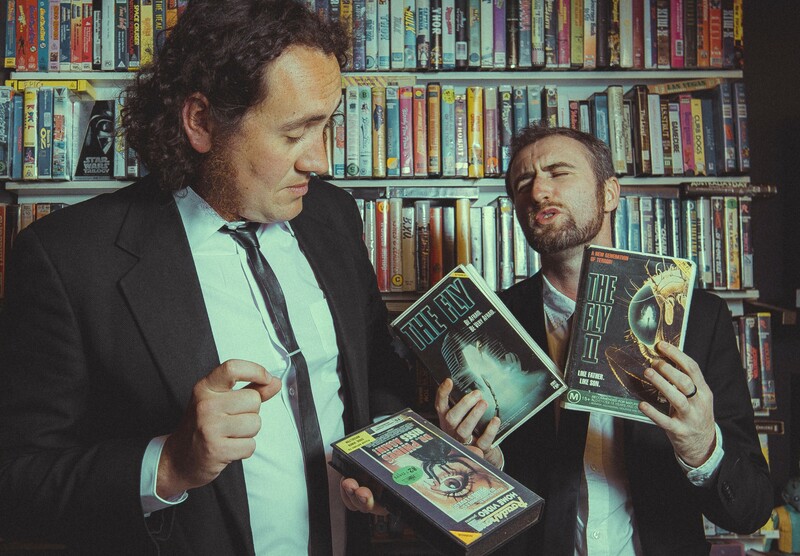 A few more festivals and then hopefully some sales so that we can release the film on VOD or BluRay… maybe even VHS. And what will you be doing next? There is something cooking in the background that I can’t say too much about, and myself and Dom are writing a few projects too. I’m also attached to an adaptation so fingers crossed one of these starts shooting soon. I think for now we’ll keep looking at original content. I’m keen to do a high-end TV series, and possibly another film in Japan again. I think I know that with a bigger budget, inevitably, comes a loss of freedom – that said, I hear great things from friends about working with Netflix, so hopefully one day. Finally, do you have a message for the folks who are going to see the film at IFI Horrorthon 2017? 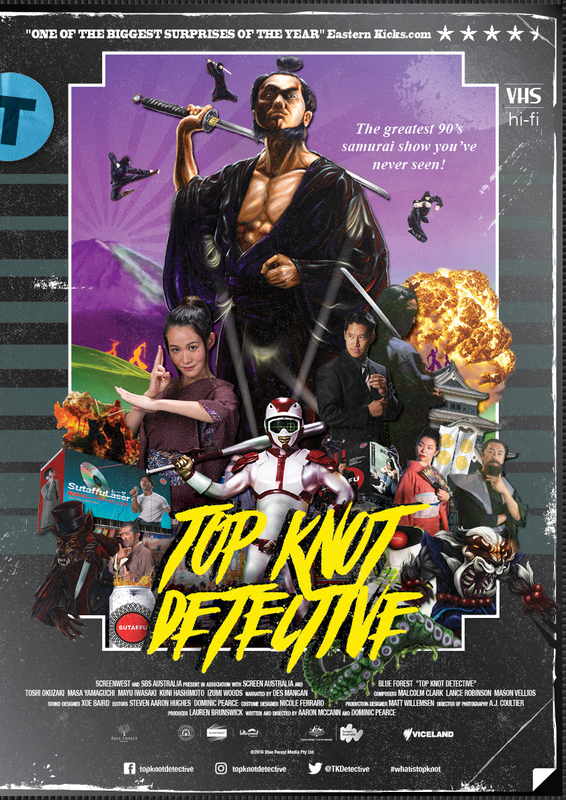 Top Knot Detective screens on Friday October 27th at 17.25, get your tickets here.